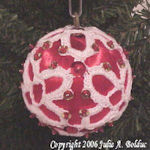 Citrus Stitch Snowflake Ornament -- $1.99 A Crochet pattern from Julie A Bolduc. 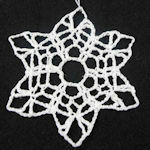 This ornament is made with worsted weight yarn and a brass ring. 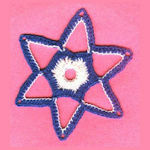 It uses the Citrus Stitch which you can find in the Stitches section of the Reference area of this site.